Some of my friends will engage in long discussions on what is “the” recipe and process to make a “real” Caipirinha, but the traditional Brazilian cocktail is really really simple. 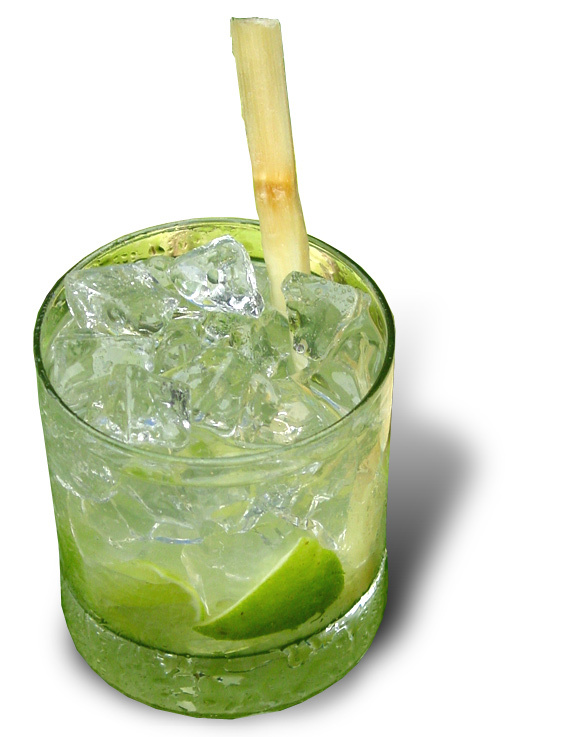 The word caipirinha translates to “country girl”, but that doesn’t carry much meaning. Caipirinha is really the name of the drink. It is a refreshing cocktail that can be found anywhere in Brazil and in bars around the world. It is made from Cachaça (a.k.a. “Pinga”), a clear or slightly golden distilled from fermented sugar cane typical from Brazil. It is similar, but different, from rum (which is distilled from molasses). Popular and readily available brands include “51”, “Pitú”and “Ypioca”. In the US market “Sagatiba”, and “Leblon” are the most common. Most cachaça is produced in high volume and intended to be mixed or to be taken as a shot. There is higher-quality cachaça meant to be sipped straight, but you need to have a Brazilian friend to find one. Look for limes with smooth and thin skin. Wash, trim the top and bottom off, cut them in wedges or 1/8s. Add the sugar and mash with a muddler. Add the Cachaça. Shake the mixture and serve in a old-fashioned heavy glass with crushed ice. Variations include the use of Vodka instead of Cachaça or the addition of other fruit juices (in which case, Brazilians call it “Batida”). 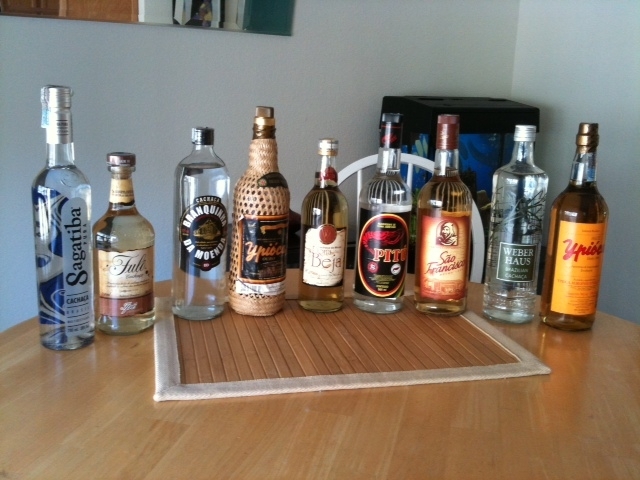 Here are a few examples of cachaça you will find in my pantry. Previous Previous post: So, what is “Meritage”? Next Next post: Where are the Early Adopters of Social CRM?